Hello everyone! Hope you all had a wonderful Thanksgiving with family and friends. Now, we are onto the winter holidays! I can’t believe how fast this year has gone! 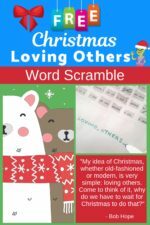 A few years ago, I helped compile teaching products to give teachers a little gift for this time of year. Since there are so many new teachers out there, I thought it might be a good idea to dust off these valuable resources that never go out of style! 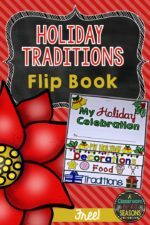 Each book has approximately 50 free holiday resources for 1st and 2nd grades, as well as helpful hints to help you through the holiday hilarity that tends to accompany December and the winter holidays. 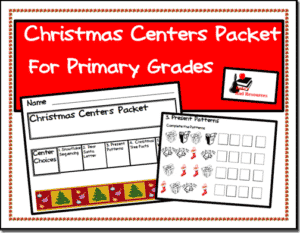 When I was teaching 2nd grade, I made copies of many of the activities and put them in stations. Then, on the 2 days before winter break, we had a massive center time. We had one for math and one for language arts. It was a lot of fun and it kept the kids active and engaged. 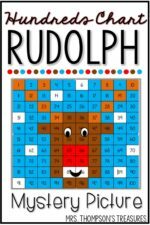 Have fun loading up on a ton of awesome holiday resources! If you would like to have even more resources to choose from or maybe for other grades, check this out!